Butter an individual ramekin, then dust with 1 tablespoon of cheese. 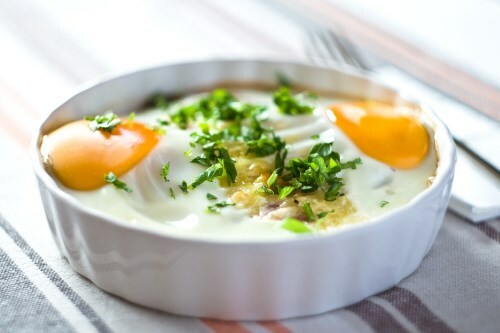 Break eggs into ramekin and cover with cream. Bake 10 to 15 minutes, until white is set.